...... Rpv Reports Steel includes many external tools to help you manage your reports. Free priority support available for demo users. - NO FEES FOR END USERS AT ALL. Royalty free license, software includes an UNLIMITED END USER license. - Compatibility with all printers. USB printers included. - Graphical printing from ANY LANGUAGE: Based on DOS, WINDOWS or UNIX, the results are the same. - Instant integration with your existing projects. 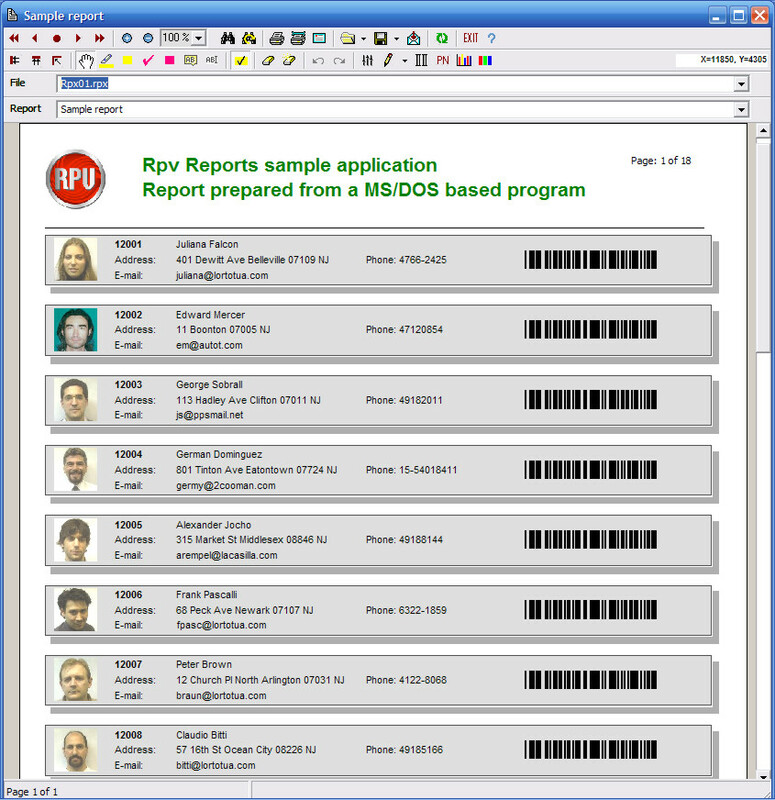 Rpv can also manage the TXT files that your programs generates and even understand the codes that you send to printer. - FREE PRIORITY SUPPORT FOR DEMO USERS. Kraken Reports is a log analyzer for Squid and ISA Server. Add barcodes to Oracle Reports with this library. Qweas is providing links to Rpv Reports Steel 5.3 as a courtesy, and makes no representations regarding Rpv Reports Steel or any other applications or any information related thereto. Any questions, complaints or claims regarding this application Rpv Reports Steel 5.3 must be directed to the appropriate software vendor. You may click the publisher link of Rpv Reports Steel on the top of this page to get more details about the vendor.